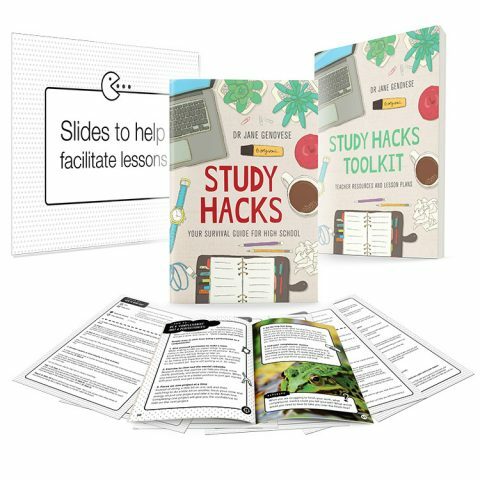 This is a sample of three study skills sessions from The Study Hacks Teachers’ Toolkit (in-house study skills program). You will receive handout sheets, slides and scripts to facilitate each session. Note sure if Study Hacks in-house program is for your school? You can purchase a sample of three study skills sessions to trial as a short course. 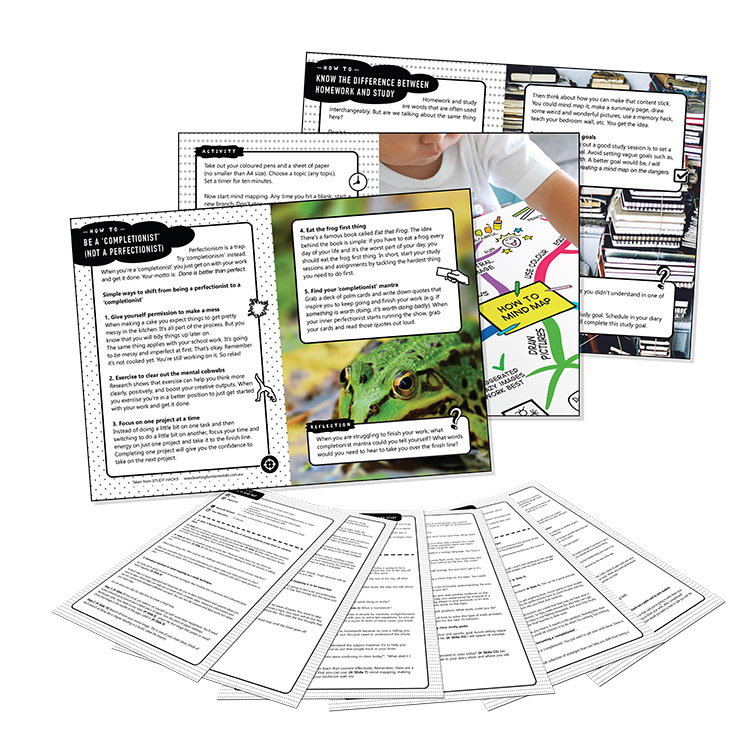 Note: This is over one hours worth of interactive workshop content you can deliver to your students.